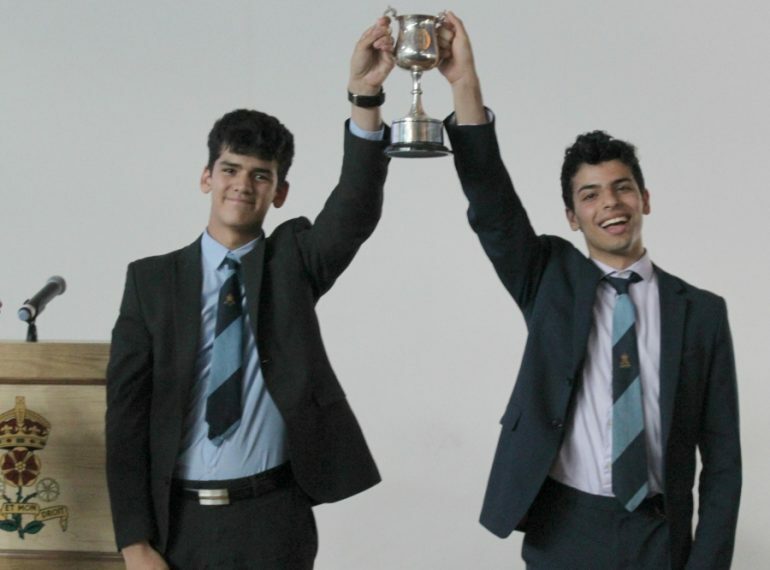 Two of the latest recruits to QE’s team made significant contributions to the School’s achievement in finishing fourth at the 2018 Millfield International Schools’ Chess Tournament. The teacher in charge of Chess, Geoff Roberts, said: “Joshua John and Andreas Angelopoulos performed strongly in this, their first, Millfield International tournament, which fills me with confidence for a bright future for chess at QE.” Both boys are in Year 7. After two qualifying rounds, the participating schools were divided into two groups, which went on to compete for either the Championship or the Major trophy. Having performed strongly in the qualifiers, the QE team were selected for a place in the Championship section as one of the top six teams, before finally being placed fourth. 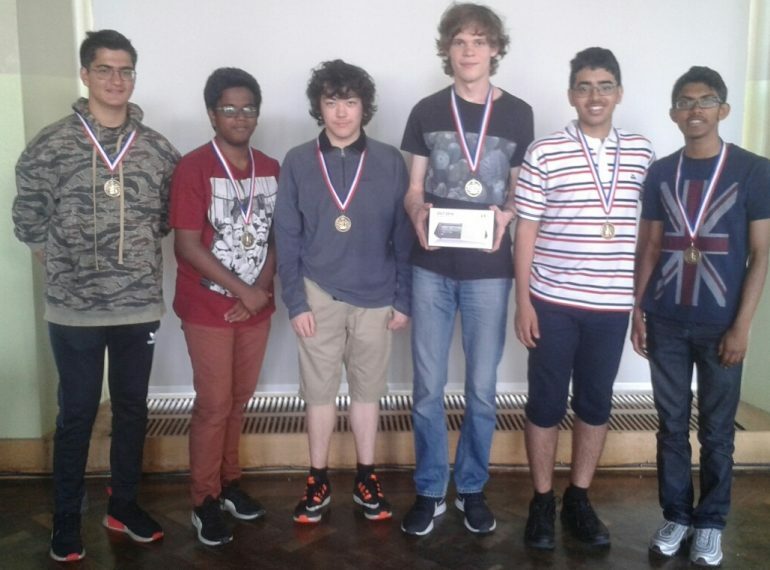 QE confirmed its place among the country’s élite chess-playing schools with a strong performance at the game’s U19 national finals at Uppingham. The Queen Elizabeth’s team reached the two-day event at the Rutland boarding school as one of 14 zonal winners from across the country, with two other places awarded after a repechage held at Eton College. Each of the 16 teams played four games at the championship, where QE took joint-sixth place. With a total score of 201, Federico Rocco, of 2017-2018’s Year 11, was one of only seven players at the Uppingham finals to top 200. Federico is one of eight boys who represented QE in the course of this year’s competition. 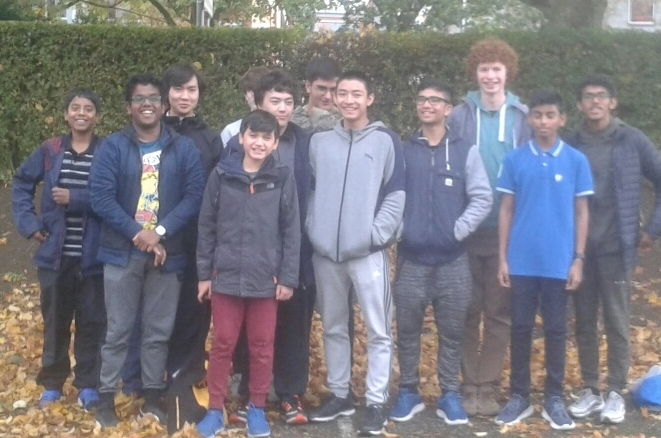 The others, with their 2017-2018 year groups, are: Aneesh Chopada (Year 13), Yuri Evdokimov (Year 13), George Ivanov (Year 11), Senthuran Jeevan (Year 10), Devin Karia (Year 10), Rishul Karia (Year 13) and Shai Kuganesan (Year 11). Mr Roberts paid a special tribute to Aneesh, Rishul and Yuri, who left QE this summer, for their “commitment to, and excellence in, chess throughout their seven years at Queen Elizabeth’s”.